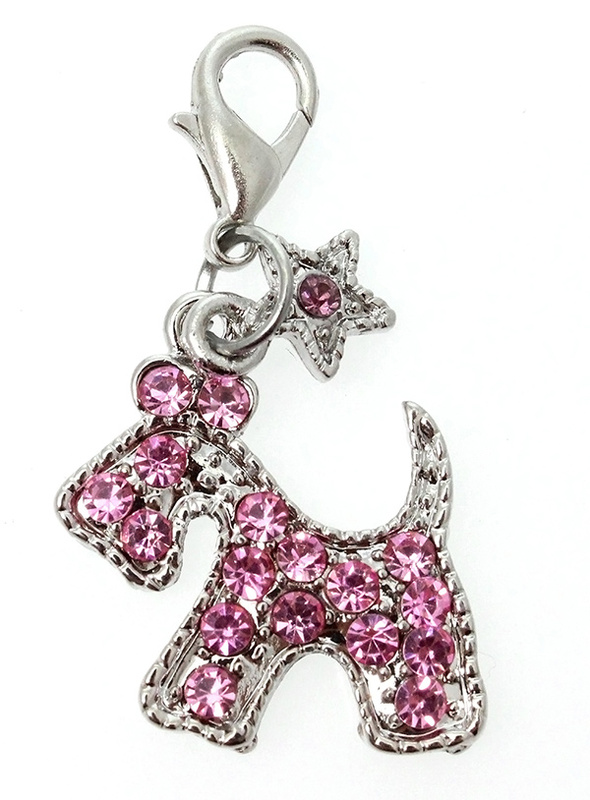 Accent your pup’s collar with our Pink Diamante Scottie Dog Collar Charm. The adorable dog shape lets everyone know who's the most fashionable pup on the block. The rhinestone accents add all the bling you need, for eye-catching style that matches the sparkling personality of your best friend.